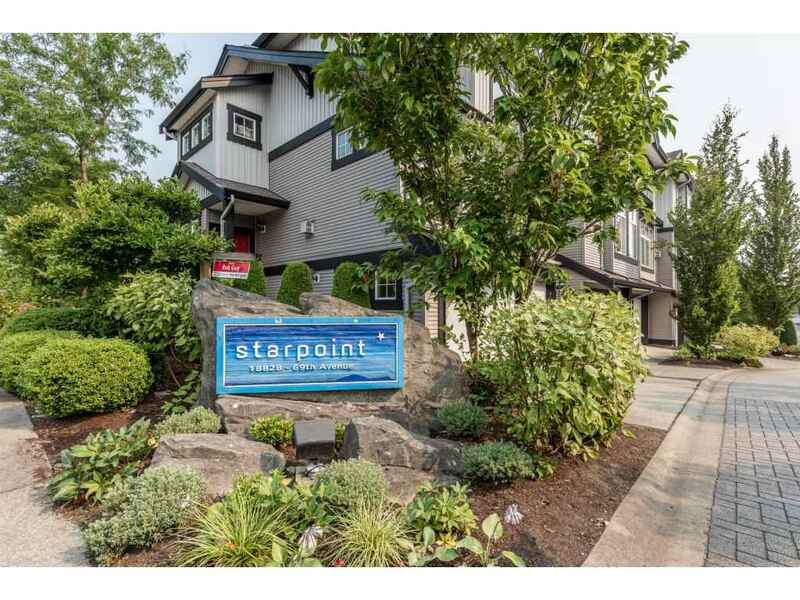 "Welcome to Starpoint, one of Claytons' best and most sought after developments!! Centrally located this large 1960 sqft. townhome is walking distance to shopping, Dublin Pub, Clayton High School, Hazelgrove Elementary School, buses, dog park, ball fields and more! Features include a huge kitchen and eating area that walk out to your fenced yard and patio, great for BBQing and entertaining. There is also a large living room on the main with cozy gas F/P and a covered deck. Upstairs are 3 bedrooms with a large master featuring a WIC and ensuite with 2 sinks and a large shower. The basement has a full washroom and rec room which could be a great teenager bdrm, office, media room etc. Double SxS garage, strata fee $233, act fast!! Open House Saturday 1-3 Sunday 2-4"